When creating the event design for your Wedding, party, or other significant event, it can be a major challenge to give the room an elegant feel if it's taking place in a average venue, like a large hall or room. This past season we have gotten the chance to completely transform rooms, and one of the major aspects we haven't talked about in the past has been by redesigning the ceiling! By adding sections of fabric draped across the ceiling, you can create an ethereal feeling to sweep throughout your venue. 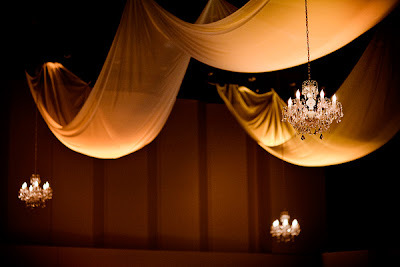 If you enjoy the fabric draping aesthetic, you may want to consider having the ceiling fully draped in fabric, creating an entirely different look for the event space. To continue accessorizing your ceiling, there are other objects that can be brought in to give the area more dimension and also a glow of light. The key for these lanterns is that they are made out of a higher quality material then the crepe paper ones you might see at the party store, so they remain elegant and expensive looking. If you like the idea of bringing in a lighting technique that adds dimension to your ceiling, but want to give it more sparkle, you can consider bringing in crystal chandeliers. 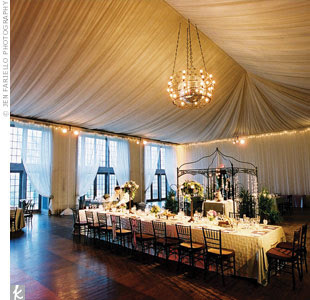 These make the event space look a little more fancy and can also bring an average space to an elegant ballroom. 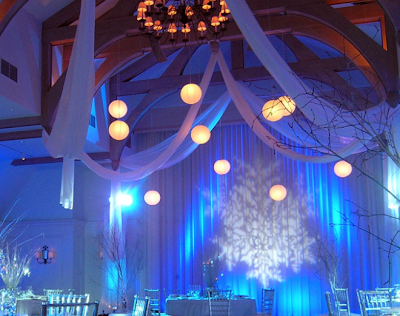 If your hosting your wedding in an event hall, or a venue most of your family and friends will be very familiar with, you probably want to figure out some way to make the location look more special and different from normal. 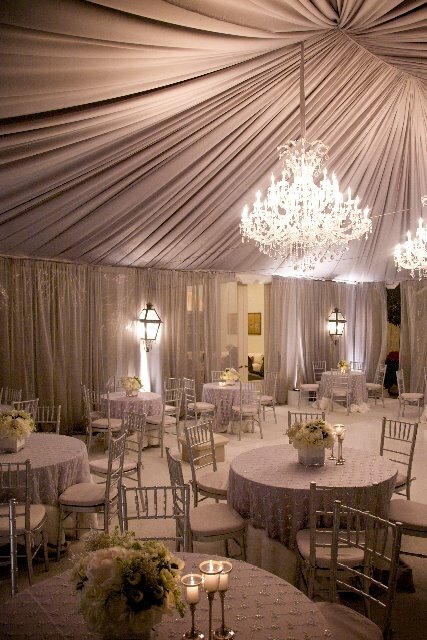 You should consider taking some of these fabulous ideas to completely recreate your space and give your event an elegant transformation that will have your guests shocked! Keep watch for an upcoming blog that will display how we completely redesigned an event venue this past week using some of the techniques discussed above! Giving promotional products is the key ingredient to ensuring traffic at your trade show booth. Be sure you are not dismissing this important piece of information. Your time and energy are precious, and you want to be sure you are getting everything out of this next event that you possibly can. Many vendors overlook the possibilities of promotional products, yet they remain puzzled as to why they never reach that next level of success. Major universities as well as a number of marketing research teams have conducted studies. Their results indicate that using promotional items grants you a major advantage over the competition. Buyers are more likely to visit vendors giving away promotional products than those who do not.